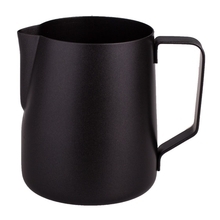 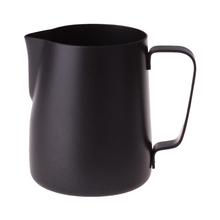 Professional milk pitcher by Rhinowares. 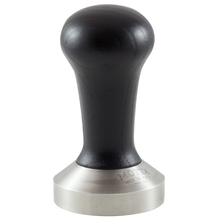 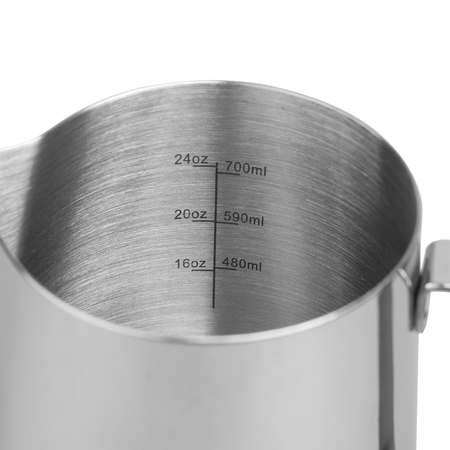 Made of 1 mm thick stainless steel, is great for every café. 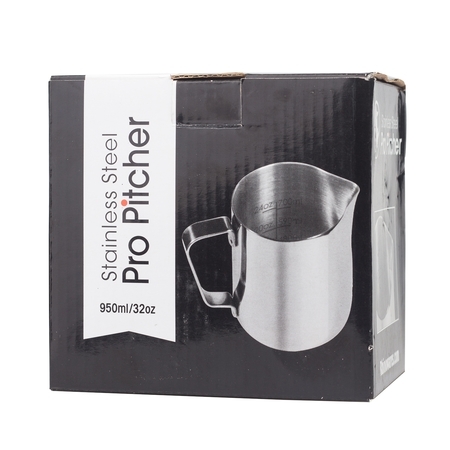 Inside, on both sides of the pitcher there is a scale making it easier to measure the amount of milk. 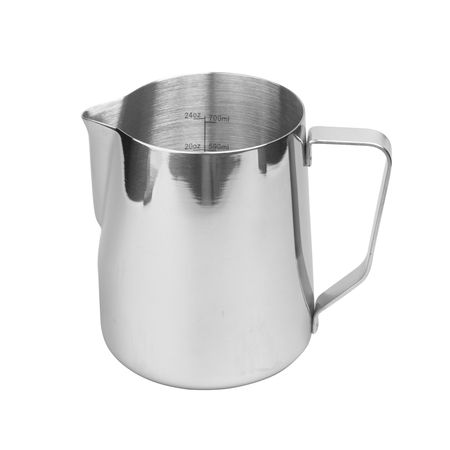 Comfortable handle, elegant design, and practical pouring spout make it an ideal tool for every latte art lover.